Learning a foreign language isn’t always easy, but if you pick the right language and take the time to learn, it can really pay off. Picking a second (or third) language to learn is a broad subject, and it’s ultimately a very personal choice. Perhaps you want to live somewhere new, or maybe you’re looking to explore business opportunities. Either way, once you settle on the language you want to learn, it’s time to get cracking. We’ve covered numerous language learning tools before, such as the excellent LiveMocha LiveMocha - Smell The Coffee & Learn The Lingo LiveMocha - Smell The Coffee & Learn The Lingo Read More and 18 other great language learning sites 15 Great Sites to Learn a New Language 15 Great Sites to Learn a New Language Although there are endless resources to learn languages on the web, it is often difficult to find quality websites that offer structured lesson plans for free. Read More . 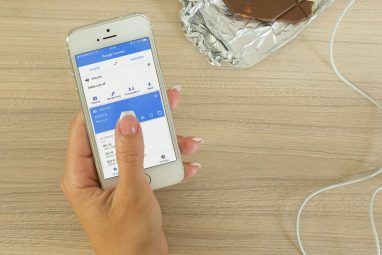 We’ve even looked at Busuu before, but today we’re going to take a more in-depth look, both at this exciting language learning website and its companion Android app for learning on the go. You hear the audio of the entire dialog, and you can show its translation on the other side (pretty crucial, especially at the beginning). One annoyance is that the translation doesn’t actually line up with the source language, as you can see above. That’s something that could be easily resolved, and would really help anyone trying to keep track with the dialog in both languages. At the end of each lesson there’s an exam to show what you’ve learned, featuring questions where you need to pick the right meaning for a certain phrase, or drag each expression to its proper place. There are even questions that have you spell certain words from hearing. 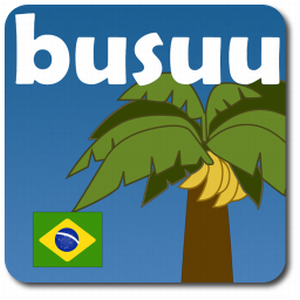 Busuu certainly feels like a solid website if you’re serious about learning a language; now let’s look at its mobile counterpart. One slight issue is that some of the questions are audio only – that’s going to be a problem if you’re in a public place and don’t want your phone to start speaking all of a sudden. Another weird part is “Review Your Mistakes”: For some reason, when I asked Busuu to review my mistakes, it introduced some entirely new material mixed in with my mistakes. That was pretty confusing. The vocabulary review stage uses swiping to move between words, and the whole app works nicely with a touchscreen. There’s no getting around it: Mastering a new language requires a great deal of commitment. That said, having a mobile app that syncs with a full-fledged website can eliminate some of the common excuses to not keeping up with lessons, such as lack of time. Did you use an online tool to learn a new language? Did you use Busuu yourself? Share your thoughts below! I am using Hello-Hello language learning apps. They are based on conversational lessons and also I can have feedback from native speakers around the countries on my oral and written communication in timely fashion. So far I have learned a lot. I am also seeing bussu and livemocha now a days online. Will also try bussu app. I personally like Fixoodle.com. A little different than Busu because the emphasis is on people teaching each other with some simple tools. You can trust it because native speakers are teaching you. On the other hand, if you are a complete beginner, it probably wouldn't be great for learning the basics. Thank you for taking the time to review busuu.com in depth. We value and appreciate your feedback and support. We are glad you highlighted these points, as many of your comments converge with what we are currently working on. We agree that having both text and translation in line will tremendously help the learning process. @Guest and @Tina, we understand the problem of the Good afternoon, and we have corrected it. 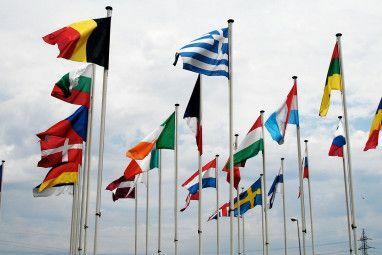 And finally, we work with native professional translators and educators around the world that ensure the content’s authenticity, in addition to allowing our native users to send us their comments about any inaccuracy. Our content is continuously updated to ensure the highest quality and accuracy. Thank you again for your constructive criticism and as we are always launching new features and new content, so stay posted. We would look forward to your new review of busuu.com. Many thanks for chiming in with your feedback! Much appreciated. "Freundin" does not signify a casual "friend" or acquaintance that you've just met. Germans laugh about the American style designation "friends" on facebook. Well, strictly speaking it would have to say 'eine Freundin von Peter' to mean 'Peter's (female) friend'. However, since the terms Freund and Freundin are ambiguous and can either mean male/female friend or boy-/girlfriend, the translation is not necessarily wrong. It begs for clarification, though. I wonder if the other languages are also inaccurate. This is weird, because Busuu really stresses native speaker participation/interaction, so I would expect them to know about this. True. In the late morning or afternoon, Germans say Guten Tag (good day). No German says "Guten Nachmittag". That's just wrong. thanks a lot. am registering now itself !! !